Expensive and luxurious in Zermatt – Zermatt has the starkly modern restaurant in a hotel which has a contemporary design called The Omnia. It offers a la carte and gourmet menus with wines to compliment them. Dishes like veal with foie gras, hibiscus, bulgur wheat and cherries. Auf dem Fels, a part of The Omnia is perched on the hillside which is can accessed through a tunnel from the upper part of the main street. A four course menu with wines and a la carte main course is served here.Another place to check out in Heimberg is Bahnhofstrasse 84, a renowned place for ‘surprise Alpine dining’ like sliver of fish served on a piece of scree, a starter of trout with goat’s cheese, a main course of pike perch with spiced wine and a dessert of hazelnut, apple and beetroot. It’s open only in winter and bookings are essential for both the restaurants. Mid-range in Zermatt- Bahnhofstrasse 30 at Hotel Walliserhof, on the main street serves Mediterranean cuisine like for starters tuna carpaccio with soya and balsamic vinegar, mustard cream with coriander and main courses include picatta of pork fillet mignon with pecorino, homemade saffron cannelloni stuffed with ricotta and spinach and puddings. The place also has a seven course meal on its menu. Bodmenstrasse 12 in the Hotel Alex Grill is located near the station which serves quality food. The white wine soup with dried meat is delicious; duck breast with pumpkin-mango chutney and sweet potatoes; icy Lackerli mousse, coffee ice cream and sauce of vanilla from Tahiti are simply rich and eccentric. They serve a great variety of Swiss steaks too. 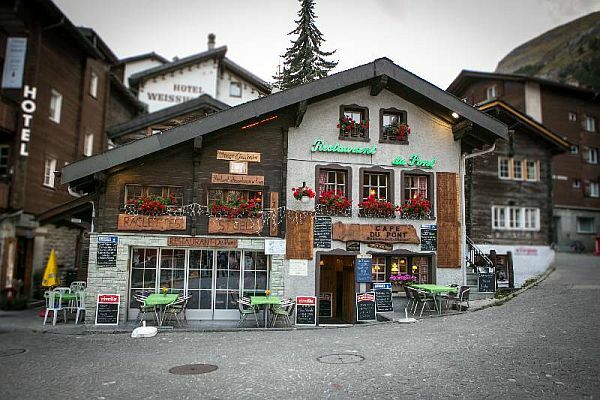 Modest in Zermatt– Restaurant du Pont located at Oberdorfstrasse 7, before Zermatterhof on the main street is for a family. It offers great rösti, vivande sechee and fondue. Schwyzer Stuebli is located at Bahnhofstrasse 5, in the Schweizerhof Hotel on the main street, near the station. Entrance is via a small open hall, by a souvenir shop. They serve Swiss specialties in à la carte at mid-range prices. A bonus of this place is live Swiss music played daily from 5pm. 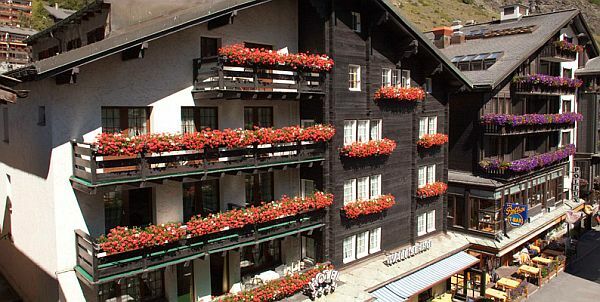 One can see how Zermatt has luxury to modest lifestyle dine-outs to offer its tourists. Summary- This article shall cover luxurious to modest lifestyle dine-outs in Zermattwhile up in the Alpine mountains.